Before I was sidetracked with Virginia Wine Month and settling into my new job, I was contacted by Wine Chateau to see if I was interested in receiving a sample. Unlike most places that contact me about samples, Wine Chateau was interested in introducing me to their online store rather than to a specific wine; and I’m so glad that they did. According to the website, the company has had brick-and-mortar stores for more than 40 years, and their mission is to provide excellent service and low product prices. They have more than 15,000 domestic and import wines, and their selection covers every budget. Over the past few weeks, I’ve checked Wine Chateau to see if wines I’ve reviewed have been available, and they almost always are. In most instances, their prices were the same or slightly lower than wines I purchased elsewhere. For example, the 2008 Golan Heights Winery Cabernet Sauvignon that I paid $16 for in a local wine store was $12.99 on Wine Chateau, and the 2009 Albemarle Rosé that I bought at the Virginia Wine Festival for $13 was $11.29 on Wine Chateau. Obviously, shipping and handling has to be factored into the cost of any online purchase, but Wine Chateau’s rates are a flat $14.97, regardless of how many cases your order. There are also plenty of free shipping items to choose from. All in all, while the most savings can be found by purchasing more wines, it is worth surfing the website to see what is available, regardless of how many bottles you plan to purchase. I know that some people are skeptical about buying wine online, but the package Wine Chateau sent arrived quickly and good condition. So, as we enter the holiday party season, considering the selection, the speedy delivery, the good prices, and the flat shipping rates, it may be worth checking out Wine Chateau’s website. 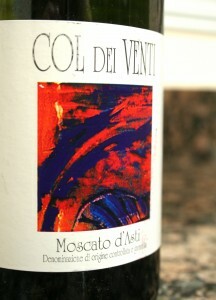 As for the wine sample itself, they sent me a 2008 Col dei Venti Moscato d’Asti (Wine Chateau). The wine was a light straw yellow with a touch of fizziness. On the nose, there were sweet apricots and peaches followed by a touch of honey. In the mouth, there were more apricots and peaches mixed with honey. The wine had a medium body, good acidity, and a nice effervescence. Is this worth a glass after work? Definitely! If you see this wine in the store, grab it; you won’t be disappointed. 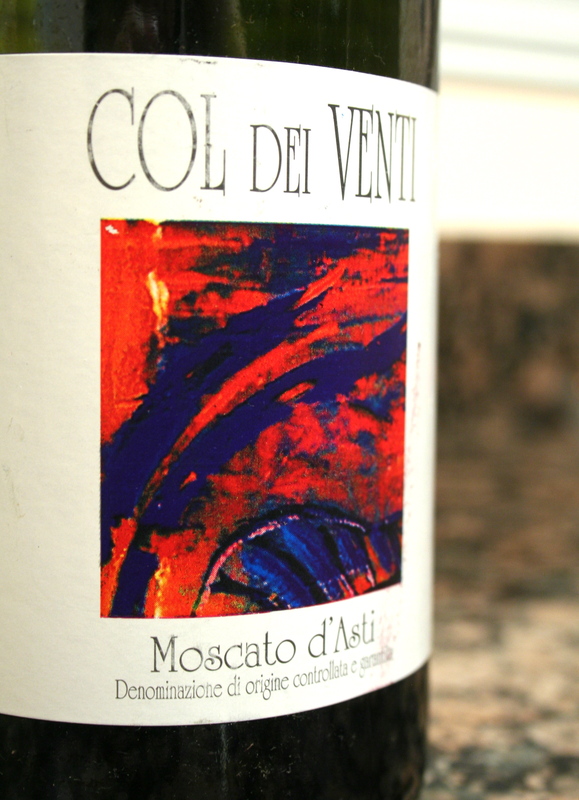 At $15, this wine is refreshing and sweet, without being overly syrupy. I normally shy away for sweeter wines, but this one was quiet enjoyable on its own and absolutely gorgeous with the chicken curry and basmati rice that Hubby made for dinner.